These purchases have stood the test of time: versatile, seasonless, high quality. I wear this skirt for play and work year-round. 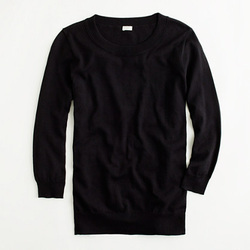 I pair it with leggings and a t-shirt for running around; I wear it with a dressy sweater or cardigan for work. Comes in regular, petite, tall, and plus sizes in 5 colors. 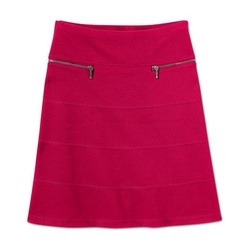 You can wear this skirt year round for work or play. Add tights & boots in the winter. Wear it with a black crewneck (see below), gray tee, white, or coral. White goes with everything. These skinny jeans don't make you look fat. I wear this dress for casual, dressy, and--that most difficult of genres--in-between events. Made of cotton, it looks equally nice with and without a layer underneath, so it really is a multiseasonal piece. Casual elegance. 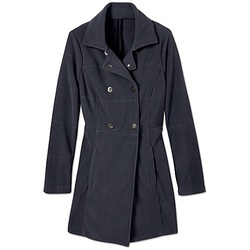 This jacket is long enough to go over a tunic, long cardigan, or dress. The double-breasted snaps make it dressy, but the fleece keeps it casual. High quality fleece, won't ball.